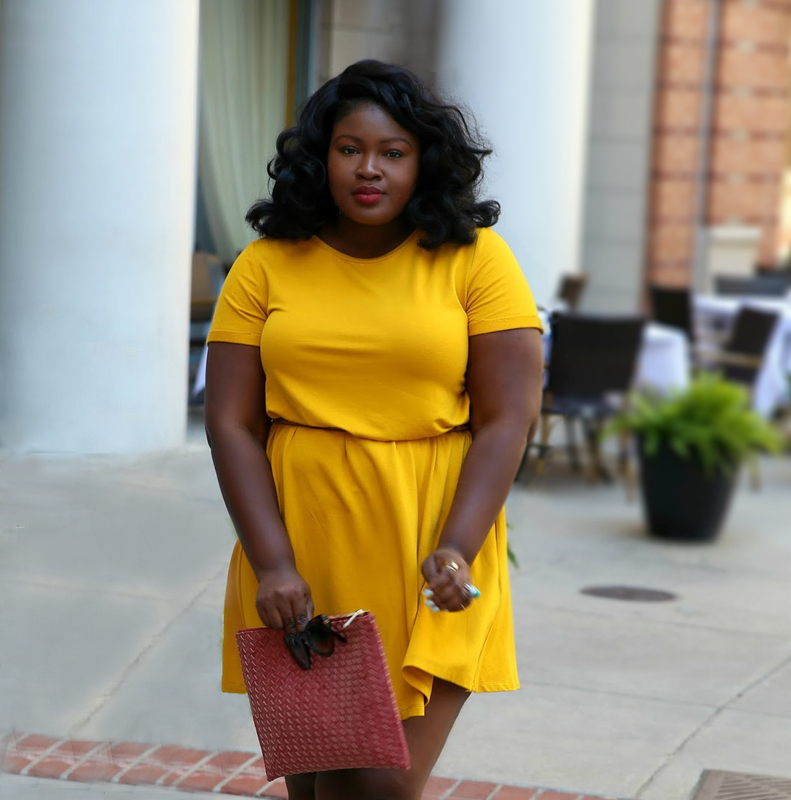 Hi, Chicsters today’s post is all about how to dress for New York Fashion Week. Now I’ll be sitting out this seasons festivities but I thought I’d still touch on it. In today’s post, I’m sharing an outfit that I would easily have worn if I were going to the shows this season and a few tips that I’ve learned about dressing for the shows along the way. 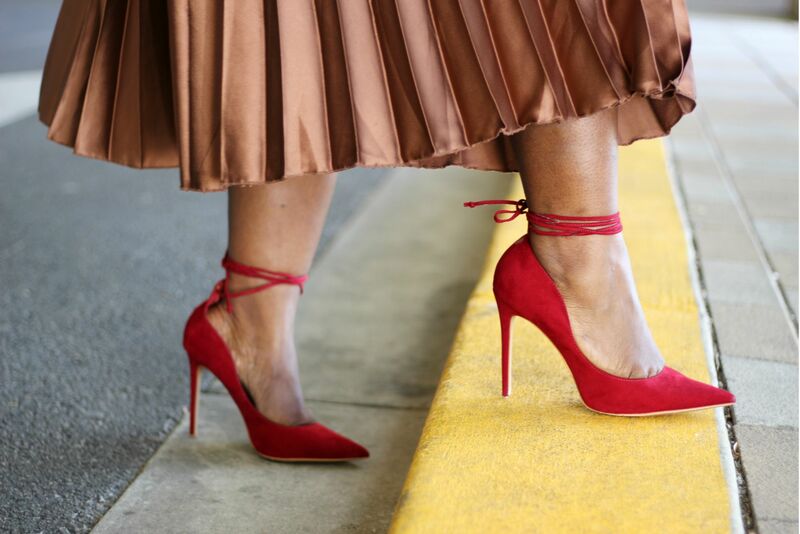 Pick comfortable Shoes: whatever you wear whether it be 6-inch stilettos or kicks be comfortable enough in it that you are confident you could stand for several hours. Low Maintenance: this is not the time to wear anything that easily wrinkles will show sweat stains or is busting at the seams. There is a lot of hustle & bustle during NYFW you are going from 1 side of town to another sometimes using public transportation often times out from day to night so don’t be that girl. Plan flexible outfits: Newyork weather is sooo bipolar in addition event venue temps can be unpredictable. 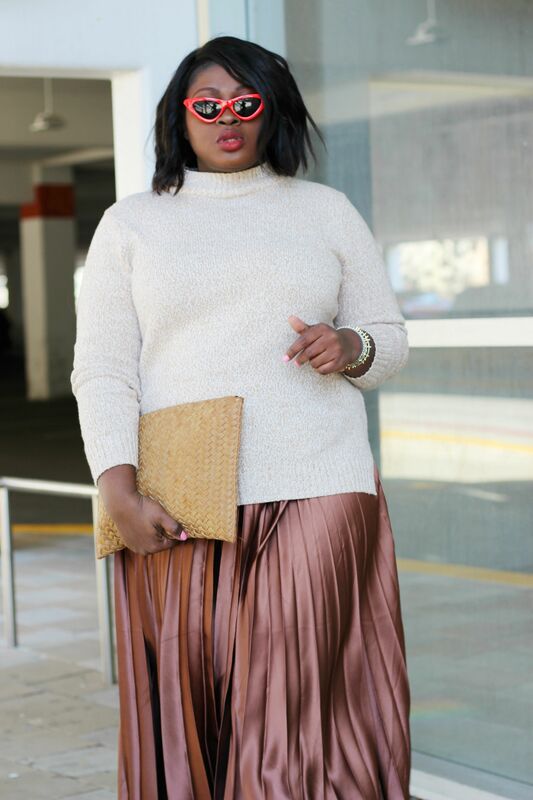 You have to plan outfits that look chic with as much or as little layers. 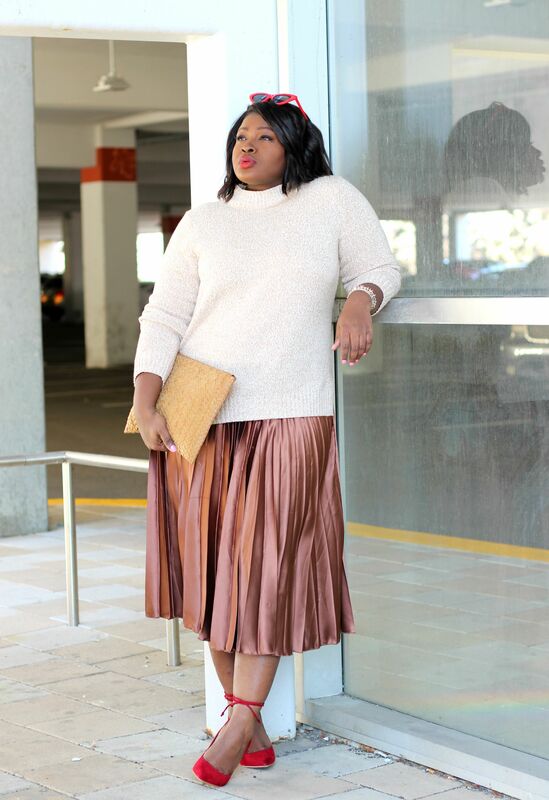 For this look, I went semi monochromatic with mostly neutrals and a pop of color. 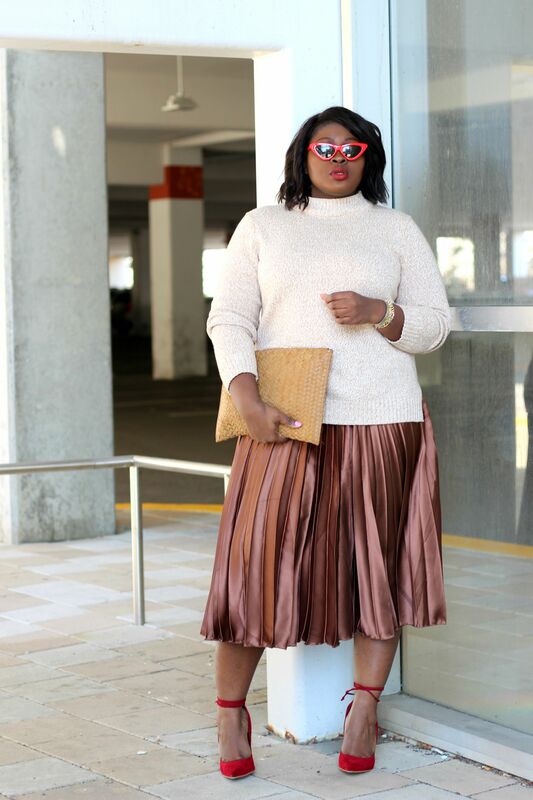 I paired my chunky mock neck sweater (also worn in this post) with a pleated midi skirt from Asos (old, similar only $9). 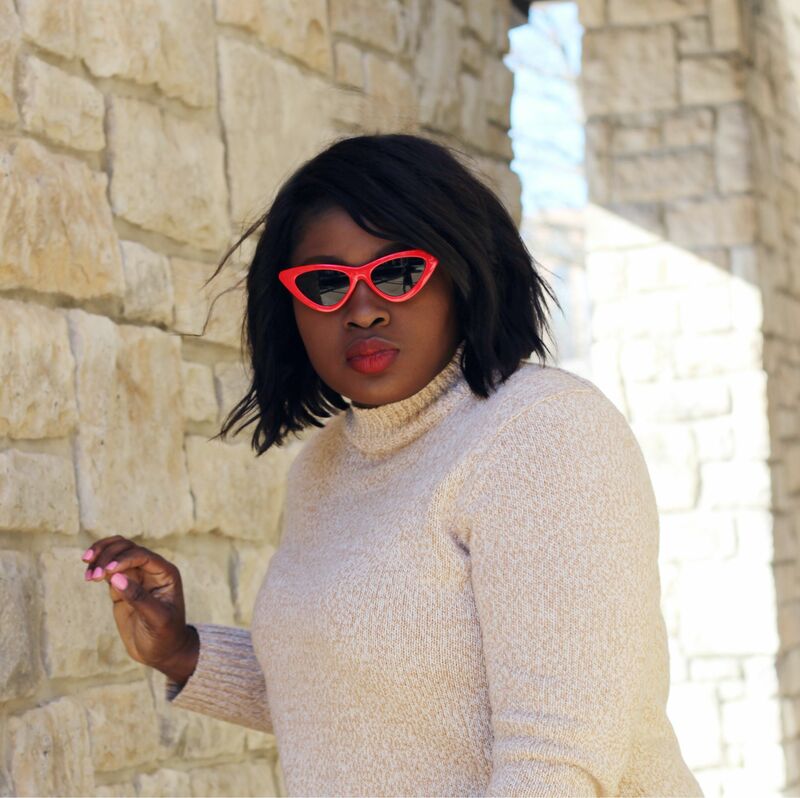 To finish off the look I went with my trusty red pumps + next seasons “it” accessory the micro sunglass.